Someone else’s negligence caused the death of your loved one, and your life was changed in an instant. You’re overburdened with grief, financial responsibilities, concerning medical bills, funeral expenses, and other obligations. Leave the legal compensation to us. 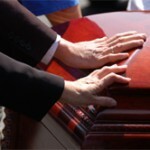 Call the Richmond wrongful death attorneys of Collier & Collier, P.C. at 804-368-6368. We help clients in Richmond and the surrounding areas receive full compensation.